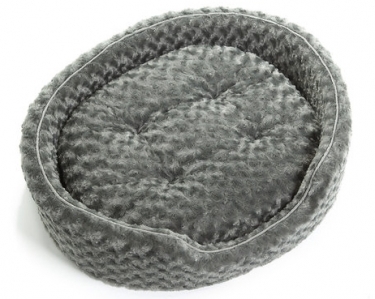 Snuggly, soft and stylish, the NAP Snuggle Terry & Suede Oval bed will provide your pet with a perfect spot for snoozing the day away. Designed for pets who like to curl-up in comfort, this traditional-style bed has medical-grade foam walls to support hips & back and a removable matching insert pillow for more frequent cleaning of the sleep surface. Interior fleece is luxuriously soft on paws. Zippered, removable cover is machine washable. Foam core is hand washable to keep your pets bed smelling fresh and clean.